There can sometimes be a price to pay for living in paradise. This idea becomes obvious when you’re thinking about booking a holiday somewhere in the Caribbean. Most companies that provide flights and/or holiday packages for the region will point out that there is in fact a hurricane season, when it’s not entirely out of the realm of possibility that such a monster will pass over whichever island you happen to be visiting. It’s largely a game of odds. Each year during the hurricane season (which runs from the start of June until the end of November), there are usually a number of hurricanes of varying intensity that will form in the region. Most of them lurch ominously over the ocean, anxiously watched in case they should make their way towards a populated island. Sometimes all they will do is make themselves known by sending out gusts of wind that will make the palm trees bend more than usual while still staying out to sea. But sometimes the hurricane itself will move over an island, meaning that the odds are not in the favour of those who live there. This was the case when Hurricane Irma unleashed her fury across the Caribbean in the summer of 2017. The devastation was enough to make those who were planning a vacation in Cuba to wonder whether it would still be worthwhile. When it comes to Cuba after Irma, should you still make your way to the island? It is important to note that Hurricanes are not too ‘common’ in Cuba. Just look at how the island has been impacted by Hurricanes in the past 9 years. Cuban authorities were initially hopeful that Hurricane Irma would bypass the island altogether, with perhaps only strong winds emanating outwards from the edge of the storm posing a problem. This was not to be. On the evening of September 8th 2017, Irma struck the island, making landfall at the Sabana-Camagüey Archipelago in the northern central region of Cuba. Irma hit the island with considerable force, with winds estimated to be as strong as 160 miles (260 kilometers) per hour. When it became evident that Irma would strike the island, Cuban authorities swung into action with a plan formulated for such an eventuality. Some one million people were evacuated and moved to areas away from the projected path of the hurricane. Dolphins living in a sanctuary in the Sabana-Camagüey Archipelago were also evacuated (flown out on specially converted helicopters). Irma raged through the night and began to move offshore late the following morning, on September 9th. 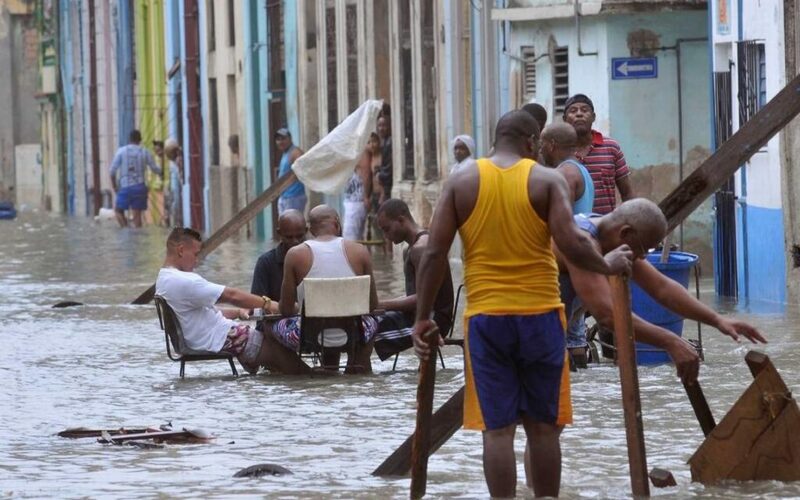 While the storm was moving away from the island (and heading towards the US), the damage was still being done to Cuba after Irma, as the storm brought massive surf swells, with gigantic waves leading to flooding in a number of coastal settlements, including Havana. With the extent and seriousness of the storm, it’s a legitimate question to ask yourself about Cuba after Irma: Is there even much of a Cuba left to go on vacation to? In a word: Yes. As soon as it became safe to do so, foreign journalists began arriving in the country in order to report on the state of Cuba after Irma. Aside from some noticeable road closures in Havana en route to the city from the airport, there was little sign that a natural disaster with the magnitude of Hurricane Irma had struck the region. At least this was the case in Havana. Certainly, there was some impact, with the iconic Malecón oceanfront esplanade being hurriedly repaired after experiencing damage caused by massive storm swells. Some seaside homes had also been flooded when the ocean seemingly overflowed onto the land. Clean up crews were dispatched to manually pump the water out of flooded basements and streets, allowing them to dry. Havana’s port was not affected by Hurricane Irma, allowing a Norwegian Cruise Line ocean liner to dock as scheduled in the days following the storm. Any concern about damage to accommodation was a moot point in this case, as passengers would have ordinarily slept on the ship anyway. 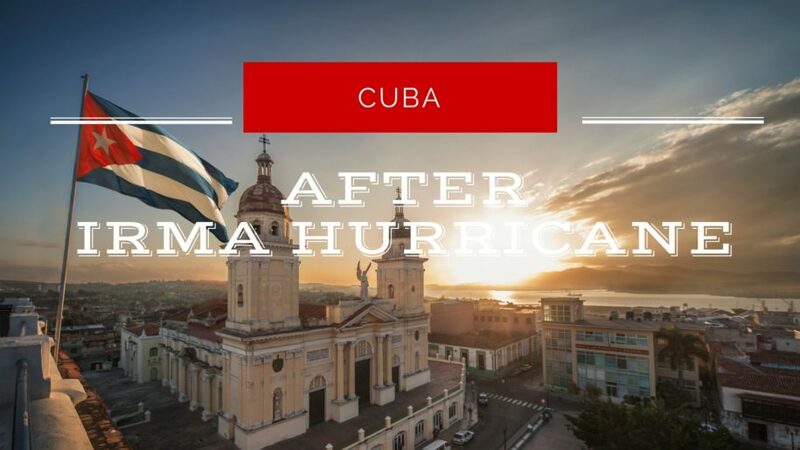 There was more substantial damage to Cuba after Irma in other parts of the country, particularly on its northern coasr where the hurricane made landfall. Tourism is such a significant source of income for the island that it’s unsurprising that getting an appropriate message out about Cuba after Irma became such a priority. The island is open for business, and tourism authorities have made a dedicated effort to stress this point. Travellers to Havana and other major cities in Cuba after Irma are now unlikely to notice any major damage (Havana, Vinales, Trinidad, Cienfuegos, Camaguey City, Santiago de Cuba and Baracoa included). There was more devastation in the tourist areas of Cayo Coco, Cayo Guillermo and Cayo Santa María, with the Jardines del Rey International Airport being closed for two months after the hurricane. It was also around two months before many of the resorts in these areas began to reopen after repair work and refurbishment had been completed. Even though the damage in Cuba after Irma was infinitely less catastrophic than it could have been, it takes time to restore a country’s infrastructure, despite the fact that the tourism sector was prioritized in recognition of its importance to the Cuban economy. While it’s not exactly a humanitarian mission, your holiday in Cuba after Irma is arguably more significant now than ever. Just think of your beachside mojitos in Cuba as a small investment that will play a (small) role in helping a country to get back on its feet. Do you have any questions? Just leave a comment!